“The Ides changed everything,” Cicero wrote in a letter, commenting on the events happening in the aftermath of Caesar’s assassination on March 15th, 44 B.C. They changed everything, indeed, leading to a resurgence of the civil war, the end of the Republic and the death of Cicero himself. “The Ides changed everything” is true for The Friendly Anarchist, too. On March 15th last year, I released my first book on this site. It was called Beyond Rules: A Dilettante’s Guide to Personal Sovereignty, Space Travel, and Lots of Ice Cream. Since then, it was read by more than 1500 people and has gotten rave reviews. Thanks a lot to you all! 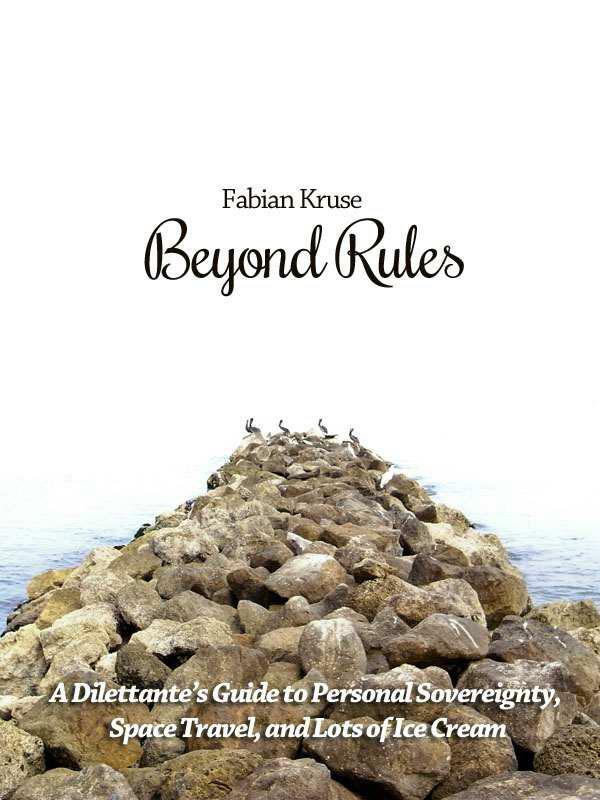 Today, I’m happy to announce a totally revised edition of Beyond Rules. It is accessible on all major e-readers right now – but I cannot yet publish all the details here, as I’m waiting for my friend Karol to open his indie ebook store next week. That said, for those of you who want to celebrate with me, there’s a way to get the book today. Sign up for Mails Beyond Rules to learn all the details! Let’s make the Ides 2012 another day that changes everything. But this time, without any wars and destruction. Instead, let’s aim personal sovereignty, space travel and lots of ice-cream once again!